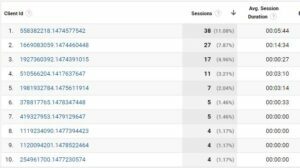 Google Analytics uses a unique identifier to determine if two hits belong to the same user, the unique identifier associated with that particular user must be sent with each hit. 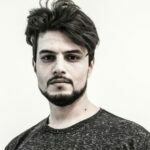 GA accomplishes this via Client ID which is a unique, randomly generated string that gets stored in the browser’s cookies, so subsequent visits to the same site can be associated with the same user. Here is an example of a client id: 15625772458.54738899. As you can see, It’s a combination of unique random number and the first time stamp. Using cookies allow analytics to identify unique users across browsing sessions, but it cannot identify unique users across different browsers or devices. If your site has its own authentication system, you can use the User ID feature, in addition to the client ID, to more accurately identify a user across all the devices they use to access your site. 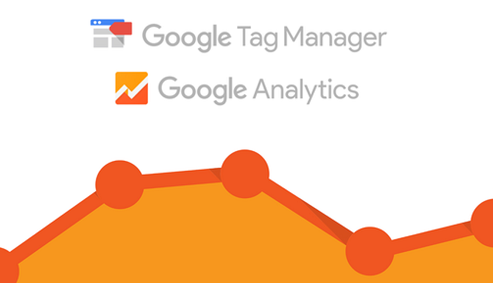 Finally, add a Google Analytics event tag and make sure that “Non-interaction” value” is set to “True“. This prevents the events from being calculated into your sessions. Then, Add your custom dimension index and then add the client id variable. If you have the user id feature implemented and you want to expose the id in your GA interface. You will need also to create a custom dimension like we did with the client id dimension above. The only difference is the user id custom dimension would be a hit-scoped dimension, unlike the client id which is session-scoped. Why? Because you want only to track logged in users and as soon as they log out you stop collecting. The rest of the steps would be the same as we explained in the client id part. If you encounter any issues implementing the dimension, please let me know by leaving a comment below. You completed a few good points there. I did a search on the topic and found nearly all folks will go along with with your blog. I am trying to make client ID be part of my reports. 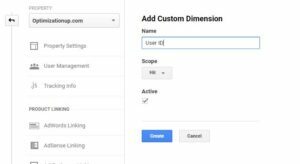 as my custom dimension created in GA is not showing in GTM. Also, when creating my tag, my page does not have custom dimensions. Thanks I got it to work. Settings have changed a bit. Glad to know you’ve figured it on you own. Thank you for sharing your method! Unfortunately, I can’t seem to make this work. My custom dimension in GA is being filled with ‘false’. Do you have any idea why and how to fix it? Should I add like a trackingReady trigger (though I don’t know how)? 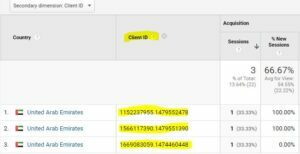 I am wondering also why the client id is not showing up as a trigger type in GTM. Any ideas on this? Maybe you can help me with this on – see link below (I work with David M) and we have some userID/clientID tracking questions you might want to puzzle with and advise us on. 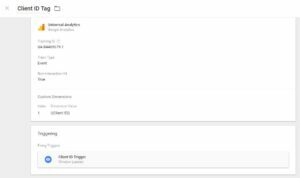 I am new with GTM and I have tried many times to setup the client ID. I can make it “fire” in the preview portion of GTM, as It shows up as a fired tag. It will not show up in GA though. Any hints would be appreciated. Regarding custom dimension and sending the Client ID. 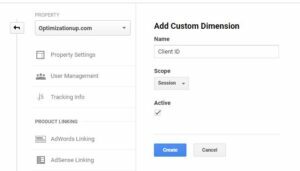 I know this article is 2 years old and correct me if Im wrong but isn’t it as simple as just adding the custom dimension settings in the pageview tag in gtm? Do you really have to send an event too to be able to see the dimension in the reports? Got Some issues, Will You Help us?